Asbestos can kill people and cripple businesses. We can train your staff in asbestos awareness. We can also carry out asbestos surveys for you, so that everyone is protected from this lethal material. If you have premises where asbestos may be present, you need a documented Asbestos Management Plan. If you are a contractor employing workers who carry out trades on site, your staff need externally audited asbestos awareness training. I have had lots of positive feedback from those who attended, it was far more than just a tick in the box for completing some training – all the staff both new and experienced left the course having learned something and perhaps most importantly looking at the hazards and risks of the workplace as their responsibility and not that of someone else! 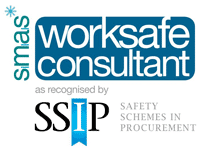 We have found the whole team at Award Health & Safety an invaluable asset to the implementation of of our health and safety culture. From good down to earth, practical training, site visits to make sure the regulations are being implemented and assistance in COSHH and our Health and Safety Policy we have found the services of Chris and the team a key factor in developing our company health and safety ethos. Bluecord Roofing & Cladding Ltd. I would just like to say a huge thank you for the work your company have provided for us with the health and safety course. Chris was an incredible teacher and was able to present the course to everyone’s abilities. We will be in contact regarding other courses as the service you have provided is outstanding. I would like to take this opportunity to express our thanks and gratitude for the professional and swift manner in which you have updated our company’s safety requirements. As the Health & Safety Director for the company I am heartened to see that over the last 2 years we have not had a single accident on site. Not even a minor incident! This is due in part, to our safety officer attending your varied training courses, but mainly it is because of your excellent input to our safety regime and your friendly but firm approach to the men on site. I have recommended your services to others and will continue to do so. Many thanks. We always receive an excellent service from Award. They are always on call for any health and safety questions or issues we have during the working week. I find the monthly newsletter very useful to keep me up to date on any industry legislation changes. Award run a wide range of essential health and safety courses which along with the site visits they carries out keeps us in good order to retain our CHAS and Construction Line membership. In blocks of flats there is a need to have an asbestos survey to cover the common areas (such as stairs and corridors) under the Control of Asbestos Regulations 2012. The common areas will also need a Fire Risk Assessment. If you are a Block Manager or the freeholder of a block of flats we can carry out both Fire Risk Assessments and Asbestos Surveys for you, enabling you to meet your legal obligations. How can Award Health & Safety Ltd help businesses manage asbestos? Reviewing and auditing your asbestos procedures to make sure they are relevant and effective. How do we provide this support? 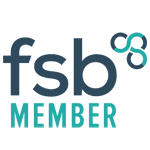 We can tailor our support to account for your particular circumstances, which will typically involve one or both of the following Stand-alone work where a project is undertaken, such as surveying your premises or compiling your Asbestos Policy. Long-term support arrangements, where our work forms part of an agreement to provide assistance to you over a minimum period and take the worry out of managing your asbestos. Here, we will regularly check the condition of asbestos materials for you, provide training and keep your records up to date. Award Health & Safety Ltd sponsored an IATP Award on Saturday the 26th January 2013. The Recognition Award went to Mavis Nye for her tireless work, since being diagnosed with Mesothelioma herself, bringing to the world’s attention how this disease affects ‘normal’ families. Asbestos poses a serious threat to health. It is estimated that up to 500,000 non-domestic buildings in the UK contain some form of asbestos and thousands of people die each year as a result of asbestos exposure.